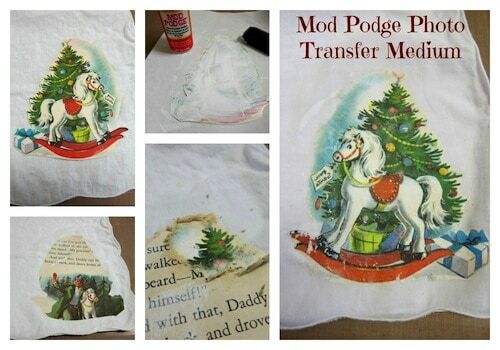 Use Mod Podge photo transfer medium to create these awesome Mod Podge photo transfer Christmas napkins – complete with a vintage holiday graphic! Ciao! 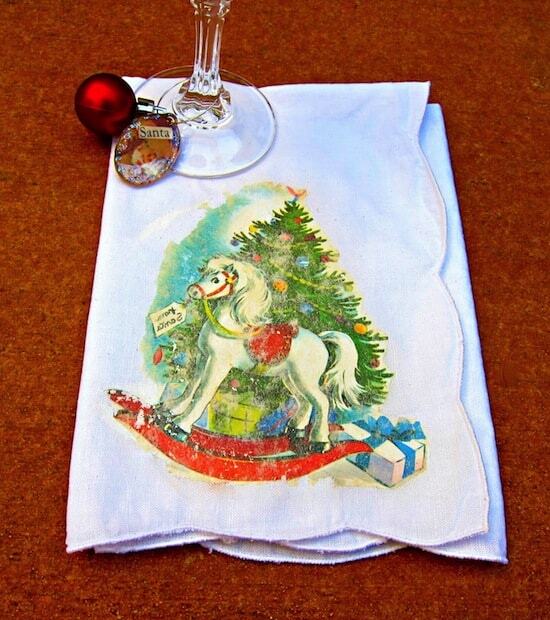 My name is Morena and I am the crafty mind behind the tutorials at Morena’s Corner, here to show you how to make these Mod Podge photo transfer Christmas napkins. 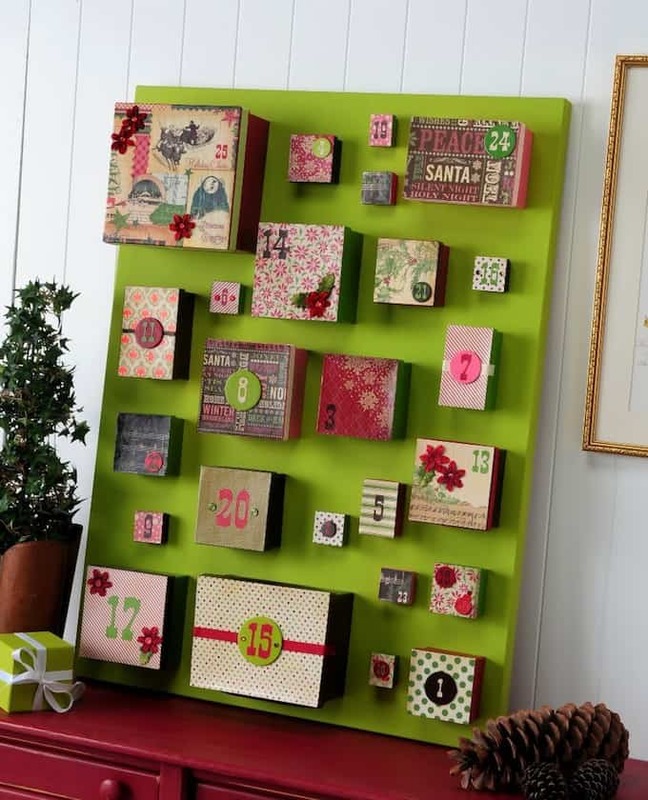 I love to share ideas for projects that are fast, frugal, and fabulous: easy on time and money, and great to look at! 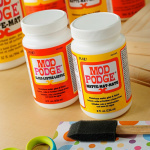 I am a stay at home mom to four young children, and crafting is what helps me maintain my sanity. If you've seen my work then you know that I have a “thing” for retro and vintage images. 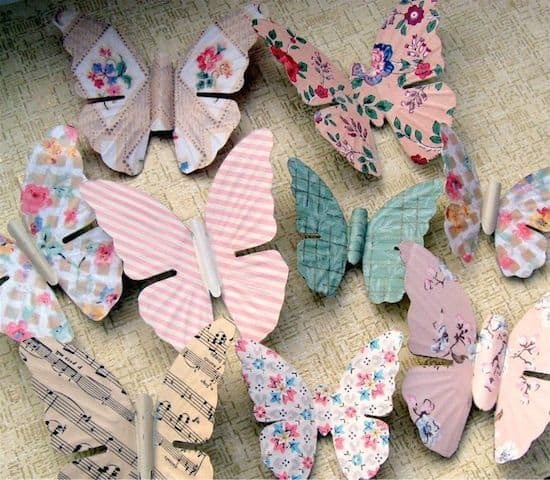 There's just something about the color and whimsy in them that makes me smile. 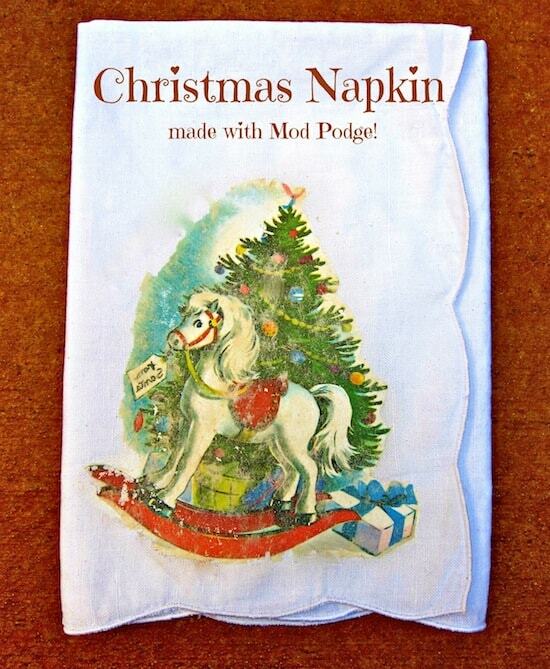 So I combined vintage images and Mod Podge, two items that I love to craft with, to make fun Christmas napkins! These will fit in perfectly with my family's “A Christmas Story” marathon watching tradition. Step 1: Choose the image you wish to use. I cut mine from a book that was falling apart. 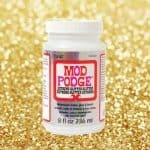 Step 2: Apply a generous amount of Mod Podge Photo Transfer Medium to the image. It should be thick enough that you can barely see the image underneath. Step 3: Place your cloth napkin on wax paper. Place your image face down onto the fabric and press down firmly. 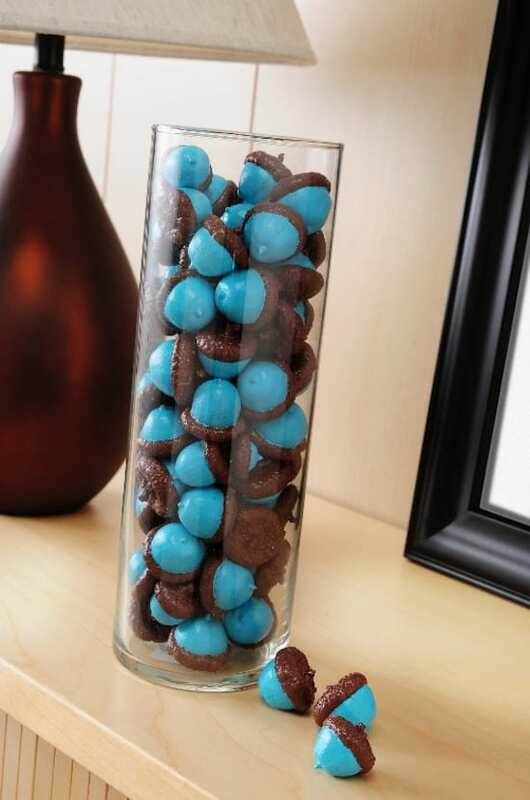 Remove any excess that seeps out. Let it dry for 24 hours. Step 4: Use a wet washcloth to get the paper damp. 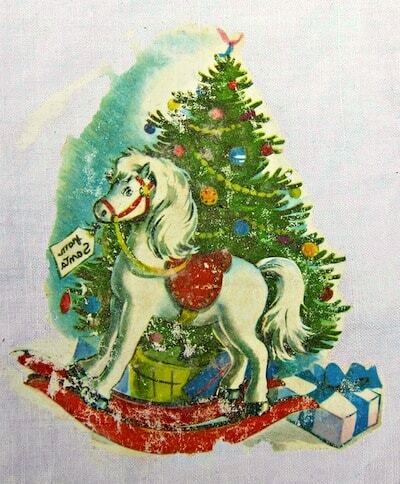 Rub gently to remove the paper and expose the image underneath. Work in small sections. You're done! Allow it to dry for 72 hours before washing. I threw mine in the washing machine and it still looked great when it came out! I even ironed right on top of the image with no problem. The picture is there for good. Amazing, I tell ya! One down, seven napkins to go! I'm even making wine glass charms out of Podgeables to go with my napkins. If you'd like to see my finished project, visit me at Morena's Corner. You can also find me on Facebook, Twitter, and Pinterest! What does it feel like? Can you still feel the cloth or does it feel like paper glued to it? Ditto what Amy said. It’s very smooth and soft, and the feel reminds me of T-shirts that have images pressed on them. It doesn’t feel like paper but it’s not like paint…you don’t feel the fabric. I was really impressed with how vivid the colors are and how well it held up to washing. I can’t wait to do a bigger project next! Does this work with any type of photo (such as, a regular photo) or does it have to be a print that is on thin paper like a book? Hi Samantha! No, it works with inkjet photos (printed out) only as far as I know. I haven’t tried laserjet.